We’re excited to see Dell announce the availability of the latest Precision mobile workstations which come preinstalled with Ubuntu 16.04 LTS. Canonical have been part of Dell’s Project Sputnik since Day 1, and over 5 years later we are excited to see continuous innovation in open source computing solutions. The Dell Precision 7530 and 7730 join the growing family of Dell systems that come preinstalled with Ubuntu including the XPS Developer Editions as well as the Precision line. 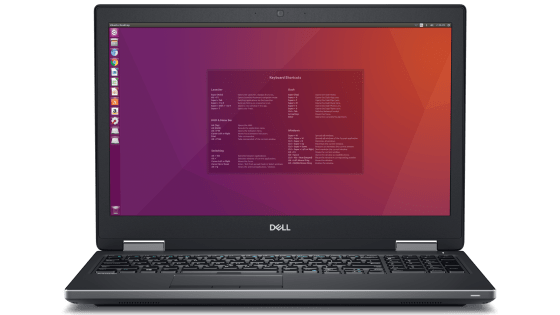 Canonical’s engineers have collaborated with the team at Dell to guarantee a first class Ubuntu experience out of the box, and we’re excited to tell you about their most powerful laptops yet. The latest Dell Precisions are available in 15 inch (7530) and 17 inch (7730) models. Regardless of which size you choose, both are the most powerful mobile “Ready for VR” workstations in their class and feature an even thinner and lighter design than previous generations. When it comes to pure power, these machines are unmatched. In fact, the 7730 is also the first AI/ML ready mobile workstation available on the market. Both models feature 8th generation Intel Core and Xeon Processors with up to 6 cores as well as AMD Radeon™ Pro and NVIDIA® Quadro® professional graphics. The latest Dell Precision Developer Editions are available with up to 128GB of system memory & SuperSpeed memory of 3200MHz, up to 6TB of PCIe SSD storage on the 7530 and 8TB on the 7730, as well as single cable docking & Thunderbolt 3 connectivity. Additional add-ons and configurations include an external eGPU chassis, a larger battery, and the option to upgrade to a 4K UHD IGZO display with 100% colour gamut. The latest Dell Precision workstations can be purchased at the links below.